DETROIT – At 10 a.m. this morning, Wayne County Circuit Court Judge Cynthia Gray Hathaway granted a motion by Joseph Weekley’s defense attorney Steven Fishman to dismiss count one of the charges against him in the death of Aiyana Stanley-Jones—involuntary manslaughter. Weekley was part of a military “Special Response Team” that raided Aiyana’s home May 16, 2010 late at night. Other members of the team said his gunshot went off within at the most, three seconds after his entry into the house. They testified extensively that they are trained to keep their finger off the trigger, even if someone tries to take their gun. Weekley claimed Mertilla Jones grabbed his gun, causing it to fire. The second officer into the home after Weekley said he saw no such confrontation. An evidence technician reported that neither the DNA nor the fingerprints of Mertilla Jones were on Weekley’s MP5 submachine gun. 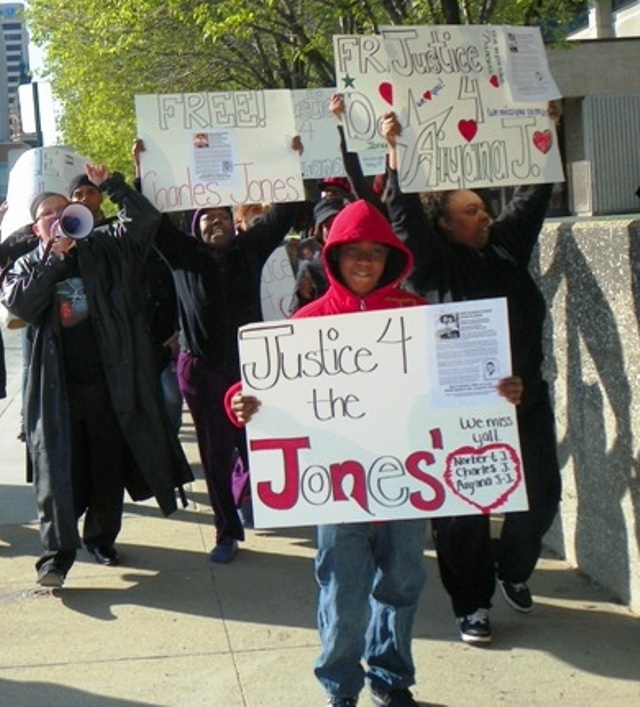 Fishman argued that the only evidence supporting a verdict of guilty on the first charge was the testimony of Mertilla Jones, Aiyana’s grandmother, who directly saw Weekley shoot Aiyana in the head, from where she was in the room only a short distance away. He claimed Jones said Weekley “assassinated” Aiyana, a term she has never used in her testimony. He said the elements of the legal definition of involuntary manslaughter involve finding gross negligence, which means more than carelessness. Hathaway granted a stay of her decision, requested by the prosecution, until 11:10 a.m. when the court was to resume today’s hearing. However, the prosecution said it had filed an emergency appeal with the Court of Appeals and asked for an expedited hearing, so the hearing in front of Hathaway will resume Monday, Oct. 6. 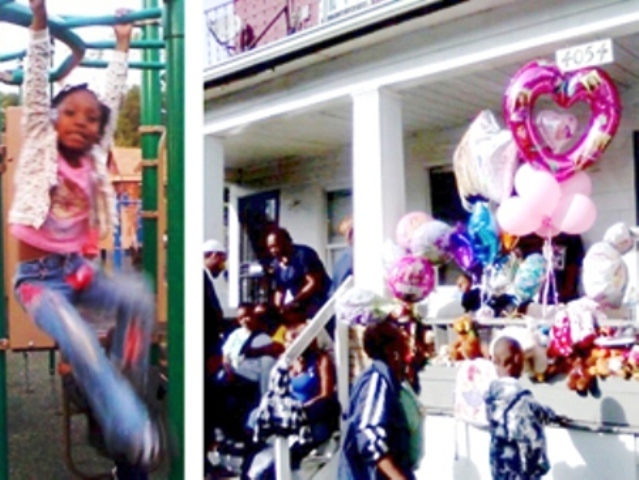 The defendant caused the death of Aiyana Jones with a gunshot wound. In doing so, he acted in grossly negligent manner. Defendant knew of the danger to another. He could have avoided injury by using ordinary care. Defendant failed to use ordinary care. Asst. Prosecutor Robert Moran also prosecuted Aiyana’s father Charles Jones in the killing of JeRean Blake May 14, 2010, resulting in a sentence of 40-60 years, with the jury convicting him of second-degree murder but acquitting him of the gun charges on which the murder charges were based. That case is on appeal. Moran objected to a directed verdict in Weekley’s case and asked for a stay. Throughout the trial, however, the prosecution has failed to object to what one activist called “racist and sexist,” insulting treatment of family members by the defense. Judge Hathaway herself has demeaned family members in her comments from the bench, scolding them as if they were children for “acting out” when they broke down to overwhelming grief caused by reiterating what happened. 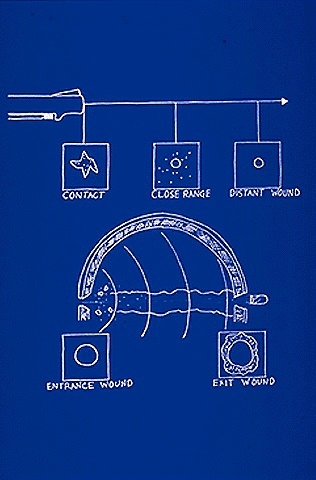 Fishman cited Medical Examiner Carl Schmidt’s testimony in his argument this morning as favorable to the defense because there was no evidence of gunpowder “stippling” on the wound. However, VOD reported that at the end of his testimony, Schmidt said if the muzzle of a gun is placed directly against the head of the victim and fired, there WOULD BE NO STIPPLING. 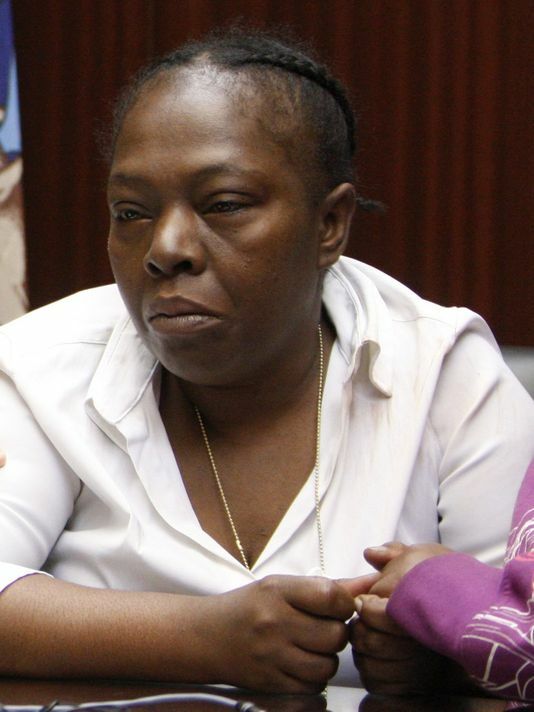 That is what Ms. Jones testified she saw–a gun placed at Aiyana’s head, testimony which Fishman continually badgered her about, as if it was inconceivable that a police officer would deliberately shoot anyone. VOD brought his testimony to the attention of both Moran and Mark Hindelang, the second asst. prosecutor, during breaks, but they scoffed it off. It clearly interfered with their theory that the shooting was not deliberate. Testimony from a blood splatter expert earlier was that there were large droplets of blood on the portion of Weekley’s ballistic shield which covers the eyes with see-through material. That appears to indicate that Weekley must have shot Aiyana while holding the shield, a grossly negligent action. Other members of the team testified they are taught to drop the shield upon entry if there is no immediate danger such as gunfire. Most said they do not carry the shield, and if they do, they carry it using a short gun. The blood splatter expert also said that blood on the shield dripped down afterwards in a horizontal pattern as if the shield had finally been placed on the floor after the shooting. Numerous members of the SRT team testified that they are trained and retrained with regard to “trigger discipline,” keeping their trigger finger held straight out against the slide above the trigger, even if someone tries to take their gun. Trigger discipline: man’s gloved trigger finger pointed straight out on slide above trigger. A weapons expert testified that Weekley’s gun could not be fired accidentally. So if he did not fire it accidentally, he fired it ON PURPOSE, WILFULLY. Judge Hathaway herself has repeatedly said throughout the trial that she trusts the members of the jury, which was extensively weeded out regarding opinions on the killing of Michael Brown in Ferguson, MO and on the militarization of the police. However, one juror told the judge during a subsequent voir dire on an earlier defense motion for a mis-trial that she thought Fishman was disrespectful to family members, in contrast to the way he questioned police. VOD reported much earlier that an individual in close contact with members of the Prosecutor’s office reported that such a scenario was in the works, with count one being dismissed and the jury considering only “reckless discharge” of a firearm. He said many in the prosecutor’s office are upset with the way the case has been handled with regard to Aiyana’s family. Family members of Aiyana told VOD that Moran told them all jurors wanted to find Weekley guilty of manslaughter during his first trial. But Hathaway declared a hung jury during that trial after only three days of deliberation. 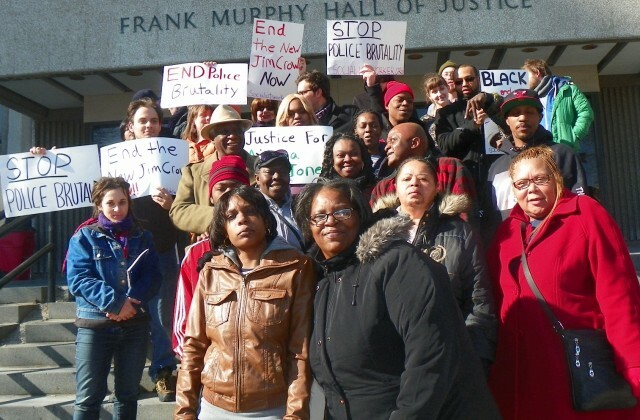 As a resident of Wayne County who has, like you, sat through and heard much of the testmony in the Joseph Weekley trial, I write to urge you to reconsider your decision preliminary dismissing the count of involuntary manslaughter. The court’s comments on the record early this morning expressing reservation that the people have met their burden is belied by the evidence. In particular, the court expressed concern that the people have not shown that Officer Weekly “willfully” disregarded the results of his actions toward others. The contrary is true. The evidence showed that (1) the SRT and Weekley himself KNEW there were children in the home as they sat out there surveiling the home for hours that day and saw children coming to and fro the residence; and (2) Weekley’s finger on the trigger is a willful disregard that the gun would fire into an occupied home and shoot its occupants. There is no question he knew the home was occupied and children were in that home. Moreover, the evidence shows he violated protocol on having his finger on the trigger. Clearly, that showed willfulness. And as an aside, I find it pretty pathetic that much focus was placed on the grandmother’s alleged lies about whether Weekly deliberately walked up to the little girl and shot her while the court, and the media backing Detroit Police, seem content to ignore the lies Weekly told that Ms. Jones struggled with him over the weapon and that is what caused it to fire. If the court grants a directed verdict, that would tell me that the Court believes Weekley, despite the medical examiner’s findings and the forensics evidence showing he shot the girl immediately upon entering that home. I can only hope your conscience will not allow you to make the wrong decision and let a lying cop walk free. As a result a darling little girl is dead. 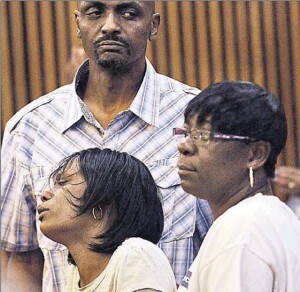 Your decision will only give Detroit Police the license to kill and lie about it. I will hold you to your publicly sworn duty as a justice hired by the taxpayers of Wayne County to uphold justice,failing of which I will remember this at election time. Roberto Guzman on bullhorn in march to free Davontae Sanford and Charles Jones, and Justice for Aiyana Jones. What a shame in our justice system. The judge is so wrong. I don’t understand why she cannot see that. Sad to say that she will probably never go back on her decision based on fear of admitting she was wrong in the first place. Why would she care? It wasn’t her granddaughter that was assasinated. We give to much power to one person. Perfect example of a judge getting it wrong. Very disappointing. Sad thing about it, is that nothing will change. Even though one person has all the power to make a decision that affects so many, (granted a poor decision) and so many disagree with her decision, nothing will change. So sad, so sad, where is the justice for Aiyana?? 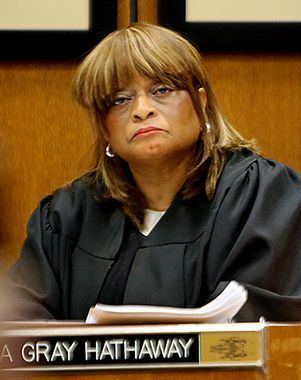 Research Judge Hathaway’s 7-10-2001 suspension for judicial misconduct; one case involved shooting death of a 9 year old, which she recused herself.